Do you want to make 2018 a year to remember? Is your new year’s resolution to bring more thrills into your life? 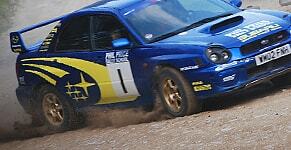 Life is all about experiences- and few are quite as exhilarating as a rally driving experience. 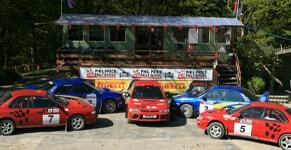 Whether you’re a real motorhead, have a need for speed or want to bring those car chase fantasies to life, Phil Price Rally School has one of the best rally stages in the UK. We can help you get rid of those post-Christmas blues and accelerate into the new year with our highly popular One Day Intense Course. For one-day you can forget about the 70 mile speed limit and experience top speeds like never before. Whether you’re buying for yourself or purchasing a gift voucher for a loved-one, Phil Price Rally School promise a driving experience like no other. While under the tutelage of an experienced instructor, you’ll drive at top speeds, learning how to control a rally car while driving round one of the most picturesque tracks in the country. Our course is designed to ensure you get the most out of the experience, promising plenty of time spent in the driving seat. You can even book 50% in advance and only pay the rest on the day. What are you waiting for? Find out more about our 7-hour driving experiences today!